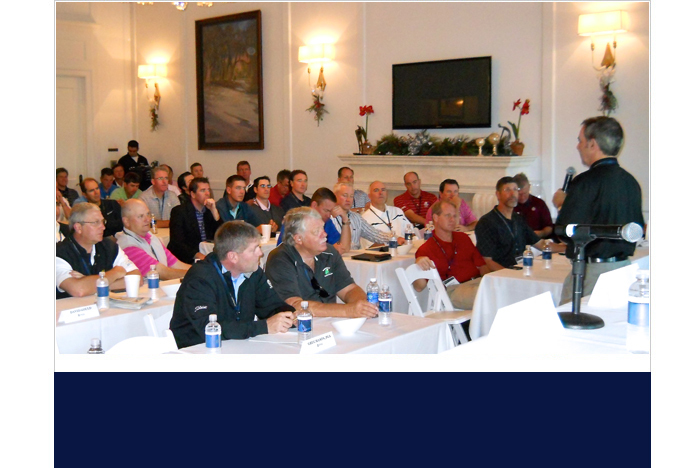 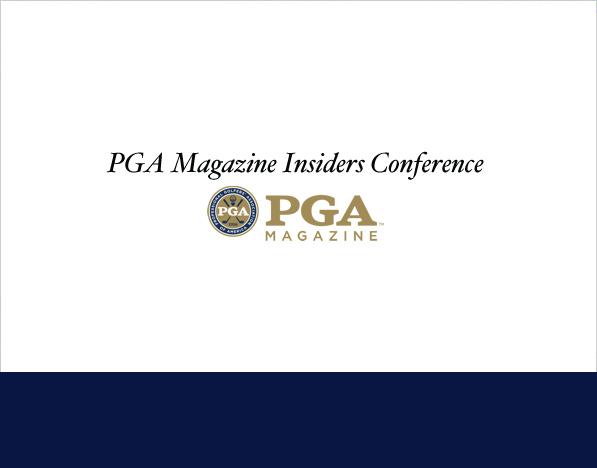 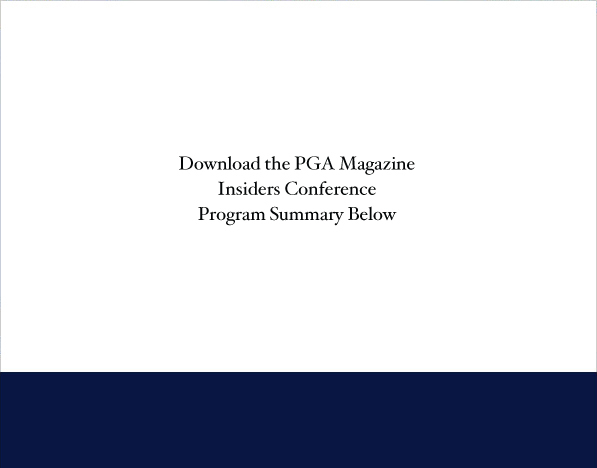 PGA Magazine will host six PGA Magazine Insiders Conferneces. 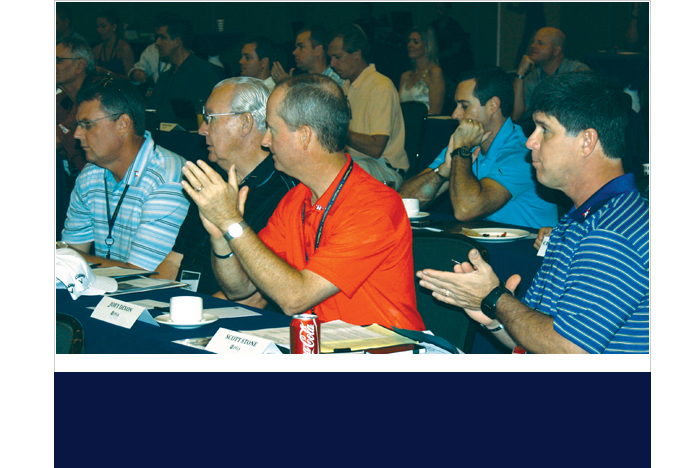 influential members, etc) to discuss trends, challenges, opportunities and other topics specific to the green-grass business. 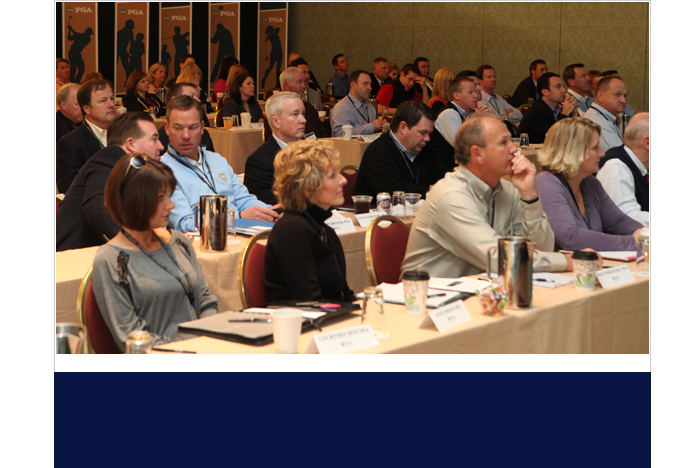 Sponsorships are category exclusive and include attendance at event, inclusion on signage/materials, presentation time and receipt of complete attendee list for post-event activation.